It will take difficult, necessary, creative, and ultimately rewarding work for us to meaningfully address humanity’s “wicked” problems. That work begins in every heart. 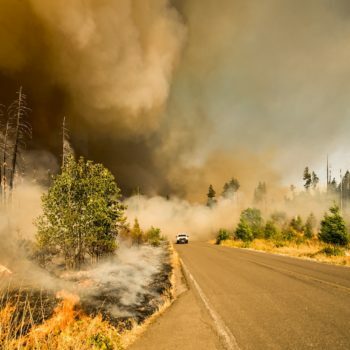 Fires, floods, droughts, hurricanes, shootings, scandals, corruption, lies and brinksmanship—the past year has been a wildly challenging year on many levels. 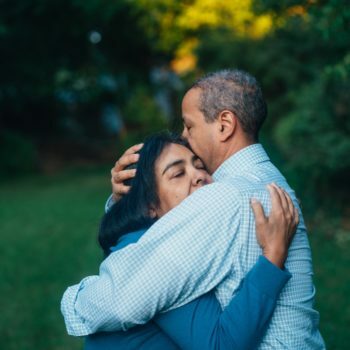 Americans, like people all over the world, are mostly good-intentioned, honest, civil and helpful to each other—and yet the stories we tell each other are too often electronic images of hatred, distrust, violence, disaster and division. What is most clear in my heart is the intensity of both gratitude and grief in the collective field. It will take difficult, necessary, creative, and ultimately rewarding work for us to meaningfully address humanity’s “wicked” problems. That work begins in every heart. Our inner and outer transformation are entirely interdependent. Everyone tends to be in denial about our collective situation, and it’s necessary to awaken from that denial, or else we will unconsciously collude to bring about the futures we fear. But we’re afraid to take it all seriously. We’re afraid to face our ecological predicament and the possible unraveling of human civilization. We’re reluctant to unflinchingly explore what can be learned by facing the worst-case interpretations of current events; it seems like a mistake, because we imagine it will weaken us and pumping the chemicals of fear, anger and grief into our blood. And yet dark futures keep suggesting themselves through the increasingly outrageous apocalyptic dramas playing out in our shared world. We can feel and see what we fear with eyes that are wet with gratitude. We can evolve our practice of grieving; it doesn’t have to collapse our hearts; it can expand them. But there is an alternative. We can practice letting go into radical gratitude for this day, for every day. And we can sometimes, on the same day, alternately open our hearts to everything we fear to feel. We can feel and see what we fear with eyes that are wet with gratitude. We can evolve our practice of grieving; it doesn’t have to collapse our hearts; it can expand them. I want to point to the gift Brother David Steindl-Rast eloquently describes in this video. This day is given to you, to me, today, and it is the only day we are given today. We can notice the gift of this day, this moment, the infinite depth and brightness that are the very nature of our own consciousness, the beauty and uniqueness of the dawn and dusk of this day, of the weather, the sky, the people we meet. We can remember that today we can be a gift to each person we meet, just by looking at them with eyes of love. Amazingly, we can do this practice even on days when in some other moments our hearts are doing the practice of allowing themselves to break. Because it is easier for a heart cracked open to be deeply grateful and generous—easier than it is for one that’s muted, idling in neutral. Let’s respond to the beauty and terror by never forgetting our innocent delight and gratitude. Joy is the essence of human experience. And joy can coexist with all the colors and flavors and textures of the human experience. Such “unreasonable joy” doesn’t require denial, because it’s not a spiritual bypass—instead, it is a practice. We can notice that winter follows summer, but we can also notice that summer comes around again. And pleasure follows every pain. The wheel keeps turning—taking us in both directions. 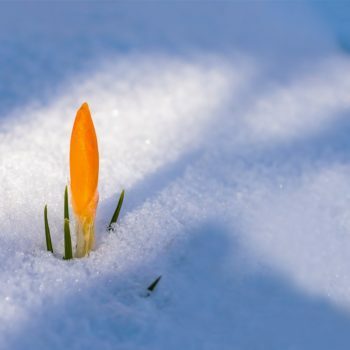 Life springs forth, reasserting itself, with every heartbeat. Our glad hearts, accepting the miracle of this moment, this breath, this day, this life—that is the foundation of all sanity. Right now, everything seems poised to change dramatically, and yet unpredictably. Sometimes that inspires us. Sometimes it frightens us. If we practice with radical uncertainty, it can soften and deepen us. We can engage the practice of learning to inhale “great draughts” of feeling, awareness and aliveness, and exhale ever-expanding gratitude. We can deepen in that practice even if we sometimes inhale excruciating pain and grief. Our glad hearts, accepting the miracle of this moment, this breath, this day, this life—that is the foundation of all sanity. Let’s return to it again and again. Let’s learn to face and be willing to see what is before us, even when it seems to take the form of something utterly heartbreaking, and seemingly unacceptable. Let’s also learn to inhale the stubborn, resurgent, sassy, upstart affirmation of life that surges through our nervous system. Let us learn to be the embodiment of that great “Yes!” Let us practice a gratitude today that is imbued with compassionate gravitas. Let’s come together in the totality of our experience as brothers and sisters, doing a practice at the heart that grows our depth, intelligence and maturity. It unfolds a deep confrontation with what’s really happening — the terrible truths of our time, but also the wonderful secret that the evolutionary pressures of our time have already been transforming us, birthing us into a new stage and structure of human culture. I am grateful today that I have just finished a major labor of love. 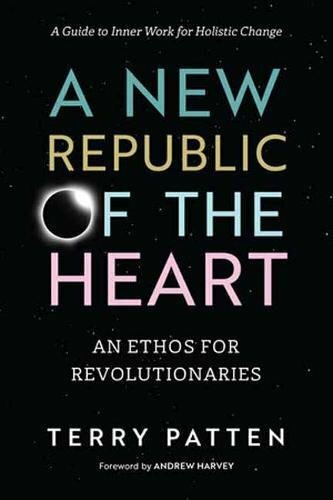 My new book, A New Republic of the Heart: An Ethos for Revolutionaries has recently been released by North Atlantic Books. I’m very proud of it. It’s a major book—one that I believe takes our human conversation into important new territory. It unfolds a deep confrontation with what’s really happening — the terrible truths of our time, but also the wonderful secret that the evolutionary pressures of our time have already been transforming us, birthing us into a new stage and structure of human culture. It will never be too late for us to make a meaningful difference, in countless ways — by slowing down, waking up, waking down, stepping forward, connecting with each other, taking action and allowing everything to be different. I am grateful that my life requires me to regularly take stock, get down and speak from the heart in articles such as this, and that people like you, all over the world, take time to consider what I say and make use of it. You are making use of my gift, which completes the circle of my offering. Thank you. Terry Patten is a philosopher, activist, social entrepreneur, and author. 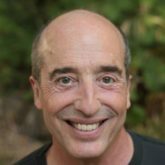 He co-developed Integral Life Practice with Ken Wilber and a core team at Integral Institute, and co-authored Integral Life Practice. He founded Bay Area Integral as well as Tools For Exploration, a consciousness technologies company. He is the host of the acclaimed web series “Beyond Awakening”. His latest book, A New Republic of the Heart: An Ethos for Revolutionaries was released by North Atlantic Books on March 6, 2018. A free excerpt & audio can be found at A New Republic of the Heart. Learn more about Terry at TerryPatten.com. thank you Terry. What resonates with me in particular is radical gratefulness, especially in the face of things going wrong. This applies both for the outside world and inside myself. In a more reasonable way, bad things leave open the opportunity for change for the better. In a personal way, it means there is no place for defeatism when there is gratitude. If timing means something it is of significance that your American President is holding a meeting to-day to discuss “Video game violence”. Specifically, its relation to ‘gun violence in USA’ As I understand it right now the scope of this meeting does not include Hollywood / TV / movie “entertainment” ‘?” industry. But at least it is a potential start, a “the first of many” so the news report says. I see this as positive in that so many “experts”, including law enforcement in USA, are calling the idea of Video game contributing to gun violence, “Silly”. I feel that type of understanding to be but one of many frighteningly attitudes of the true nature of consciousness. It will be of interest to read / hear / your opinion on this subject is. Myself I am preparing for seven level depth study of Yohannan the Evangelist’s ‘Revelations’ on the Island of Patmos itself. No better time then now to understand this very important (and much maligned) work of this great, great, Saint because it is a working model of human consciousness. Clear understanding of ‘Revolations’ would be a powerful “Yes” ( as you put it in your article about) step forward towards understanding our human , unconsciously created, problems once and for all. Dear Terry, I just read your article and it is 7am, what a beautiful, uplifting, inspiring way to start my day! I thank-you from my heart for your sharing! Terry: I don’t consider myself a revolutionary, and after reading your words I notice I’m drawn to radical trust, radical gratitude and radical joy. Thanks for your radical gift.